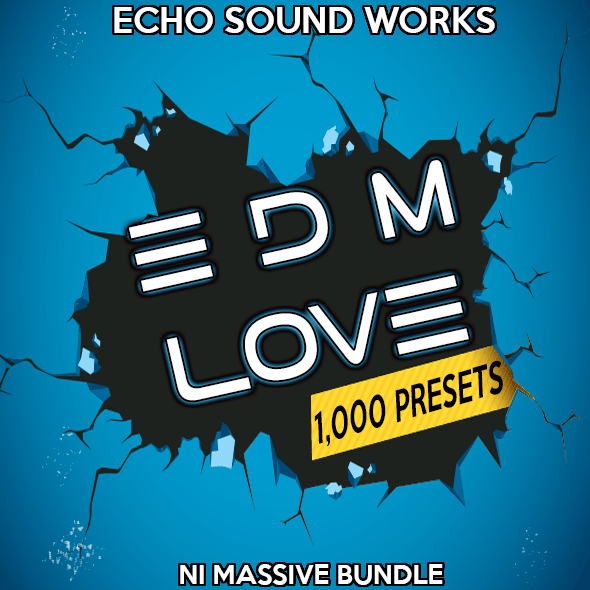 EDM Love is the ultimate bundle for Native Instruments Massive. 1.) EDM Drops V.1 150 drop-worthy massive presets that will seamlessly fit into the most important part of any EDM track – the drop. 3.) Melbourne Anthems A collection of everything you need to create great sounding Melbourne Bounce. Bonuses include acapellas, drums, logic templates and more! 6.) Urban Legends Ultimate The ultimate in Hip Hop and Urban productions! This pack also works really well with genres of EDM like Trap, Dubstep and Electro. If purchased separately, everything in this pack would cost $156 but it can all be yours for the insane price of just $70. This bundle will allow you to create ANY genre of modern EDM. Whether you’re into Dubstep, Electro, Deep House, Trap, Hip Hop, Melbourne Bounce, Progressive or even Pop, EDM Love has you covered! If you have just started to build your library of sounds, you won’t regret this pack. It was designed by producers for producers. It also comes with all the bonuses that are included in each of the 6 soundsets which gives you a bunch of extra drum samples, MIDI files, Logic Templates and 2 royalty free acapella files. It’s almost a gigabyte worth of exclusive content.